Life In A House of Blue ! : Norman Phartephant - Farting Elephant - WIN! Home > Giveaway, Review > Norman Phartephant - Farting Elephant - WIN! Norman Phartephant - Farting Elephant - WIN! As a mom of all boys when I cam across Norman Phartephant my first thought was " My boys would just love this !" Let's just say I was thrilled when he arrived to our home. EVERYONE including mom has had fun with him. My 2 year old runs around the house all day making him "fart". My 14 yr old & 10 yr old likes to make him "fart" when people are over so they can blame someone else.....let's just say boys will be boys ! I am sure my husband will not admit that he enjoys Norman also ! About Norman : "Norman PhartEphant™ is an ideal companion for children of any age. Norman PhartEphant™ inspires laughter, silliness and the imagination where ever he goes.Soft and cuddly, at 10 inches and round, Norman PhartEphant™ offers a variety of 8 fart sounds with a squeeze of his tail. Norman PhartEphant™ makes a favorite gift for your difficult to surprise child, co-worker, spouse, friend, and/or spouse. Warning: This toy may create the opportunity for you to talk to your child about bodily functions, or a co-worker about a habit that has been noticed! The conversation includes how to politely excuse one's self. " Norman PhartEphant is geared for the 3-10 year old crowd, but obviously appeals to adults. The purpose behind Norman PhatEphant was to help with education for the owner's son, as well as give to charities. Now, you know what Norman sounds like (see video) don't you agree Norman ne ed to come live with you ! *Giving Norman makes for giving unique gifts! Norman is more than just a farting plush! By giving Norman as a present, you are also donating to a few child-oriented charities! Check out Norman's Story & Friends ! Ha ha ha what a riot! Did you know that Norman PhartEphant™ is an African elephant that was adopted by a US zoo? Cool eh! One of the charities they donate to is the Ronald McDonald House Charities®. I'm a Facebook Fan of Norman Phartephant. They donate to is the Ronald McDonald House Charities®. Norman has good manners. Though he is gassy, "...he is polite and apologizes on occasion." They accept Paypal as a payment form. Thanks for the chance. Norman PhartEphant™ is an African elephant that was adopted by a US zoo. The dietary changes in the transition caused unexpected gastric effects. There is more to Norman than just gas! But he is polite and apologizes on occasion. Norman is currently only available in a retail store in NYC. Norman has manners! That could be useful!!! Norman's friends include a tiger named Ty and a wallaby named Zip. I learned that by giving Norman as a present, you are also donating to a few child-oriented charities! Fierce Fun Toys LLC is a philanthropic for profit company with a portion of our proceeds supporting children's charities. Norman is an African Elephant that was adopted by a US zoo. That was so sweet. I wonder what zoo he is at so I can go see him. Thank you! 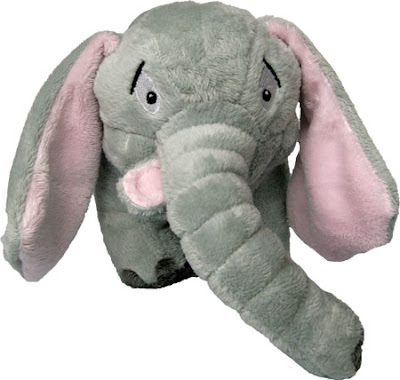 This idea cracks me up: At a training event, maybe with a political bent, imagine PhartEphant as a table center piece / a plush toy / novelty toy that everyone will want? Never been to a training event like that! How adorable. My daughter would love it. Thanks for the chance. poor Norman has his gassy problems because his gastrointestinal system is not yet adjusted to the foods he is eating in the US zoo! How did Norman become so Gassy? To clean Norman, do not machine wash--could damage the electronic sound components. Instead, spot cleaning works well! I learned that norman appologizes occasionaly when he gets gassy! I love that they donate to the ronald mcdonald house which is a wonderful US charity.Thanks for the laughter. I learned that Norman is an African Elephant that was adopted by a US zoo, and the change of diet has caused him to become rather gassy. I am a fan of Norman's on facebook too. June 19, 2009 at 4:29 PM This comment has been removed by the author. Norman is currently only available in a retail store in NYC. Bummer! They donate to the Ronald McDonald house. I learned that Norman has only 87 Facebook fans. How sad! I also learned that I cannot get Norman anywhere near my home. Mail order only! There's a form on the site to recommend local stores to carry Norman. The first Norman book is expected to be available around year end 2009. 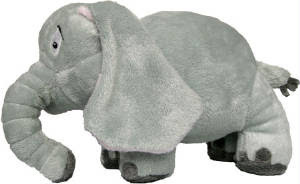 I love the phartephant it reminds me os abby's hippo from NCIS cant wait til the end of the year when the book comes out! Norman PhartEphant is an African elephant that was adopted by a US zoo. The dietary changes in the transition caused unexpected gastric effects! I liked that they said this: Our first toy, Norman PhartEphant™, we believe represents a pursuit of wild, silly fun for the young or old. Norman toots because of a change to his diet! I learned that donations are made to children's charities with each purchase. Nice. this is based on a real elephant lol. They donate to is the Ronald McDonald House. They donate to Ronald McDonald House. What a riot! I'm not sure who would enjoy it more my brother's family (3 kiddos), my hubs or my grandmother...Did you know that Norman PhartEphant™ is an African elephant that was adopted by a US zoo? The dietary changes in the transition caused unexpected gastric effects. There is more to Norman than just gas! But he is polite and apologizes on occasion. And that deserves a pat on the head. I learned that Dad may need a new snuggle toy when a new baby arrives. The company is located in New York City. I became a Facebook fan of Norman PhartEphant. Norman apologizes for his interruptions on occasion. So much more polite than a certain man I know!!! Thank you for the opportunity to participate in this fun giveaway!